To know your ICICI credit card balance, currently two options are available. 2. Link Your ICICI credit card number with your ICICI Internet Banking User ID. Most easy method to know your ICICI credit card balance is by linking Your ICICI credit card number with your ICICI Internet Banking User ID. 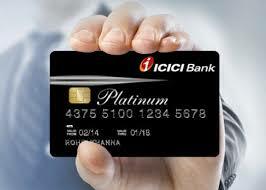 Procedures to know Credit card balance through phone banking is explained at ICICI Credit Card balance procedures. Linking the ICICI credit card number with ICICI Internet Banking ID is an easy process. Follow the below given steps to link your credit card number to your internet banking user id. Select "Link my Credit Card Account to my User ID"
The linking of Credit Card request will be processed in 1 working day. What happens if address in Credit card application and SB account application mismatches? You should call ICICI customer care number and you may link the Credit card alternatively you may update the address and link.You can find various ICICI cust care number here. You may be requested to visit your ICICI bank branch to submit request for making the address same. Its recommended to keep an address proof along with you while visiting the branch. This will take one or 2 days. After the address issue is fixed, you can try to link your ICICI credit card with internet banking by following the steps given above.